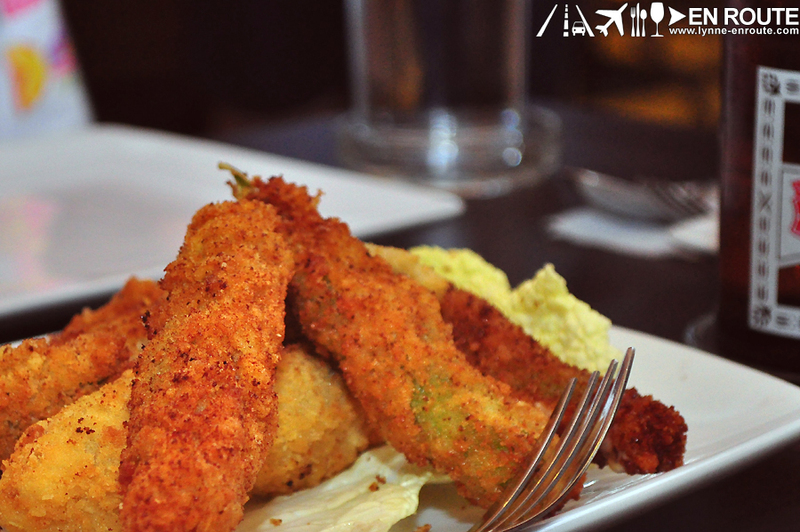 This visit to The Bay Grille has been almost a year ago, after a trip to Baguio and Benguet for a frustrated Panagbenga flower festival experience. However with the looming long holiday and a scheduled surfing trip, this brought back fond memories of good food, good friends and a small taste of what it means to be in The Twilight Zone bathroom. The Bay Grille Cafe is located in one of the hotels fronting the shoreline in San Fernando, La Union. It would be a nice hang out place during the day but also provides a steady night chill session. 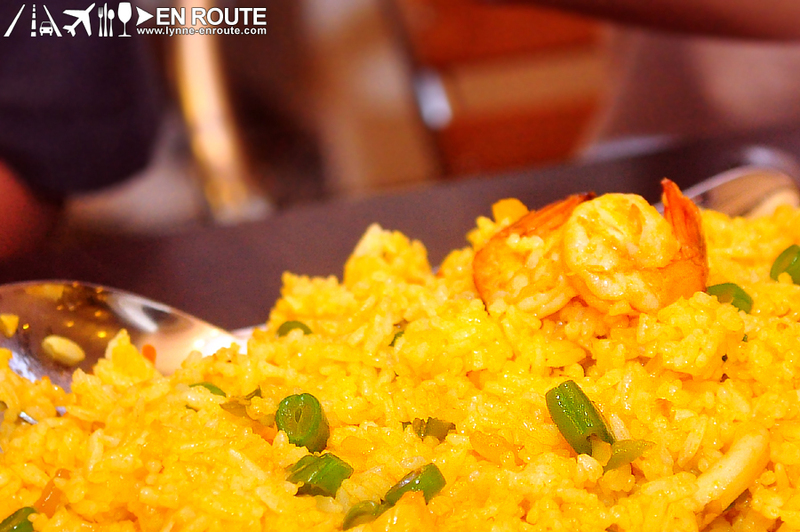 The bar-chow-like food shall ensure this, and the sound of crashing waves will just whet your appetite even more. 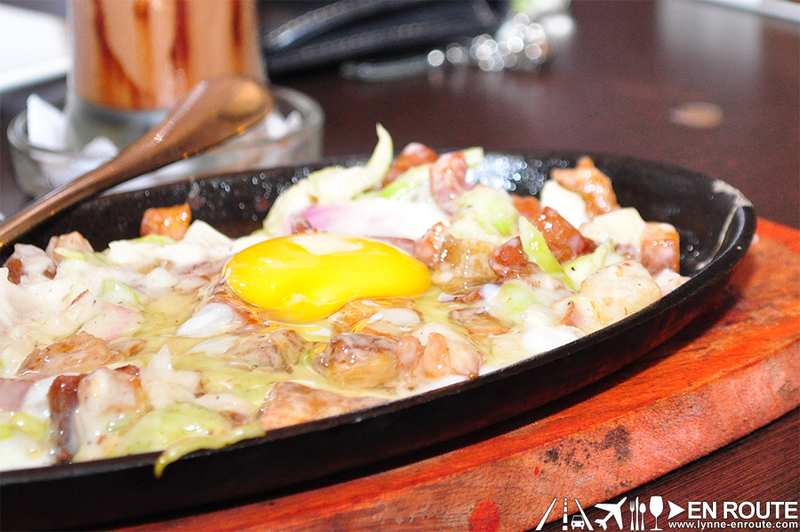 Again, sisig and grilled liempo are staples for Filipino steady gatherings. This version of sisig has both egg and a bit of mayonnaise. 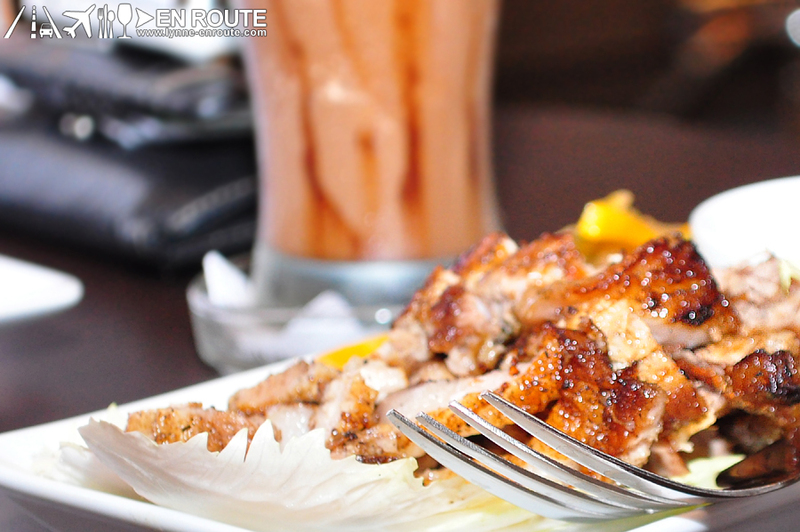 The grilled liempo is par for the course. Couple this with some seafood rice and maybe a vegetable order. 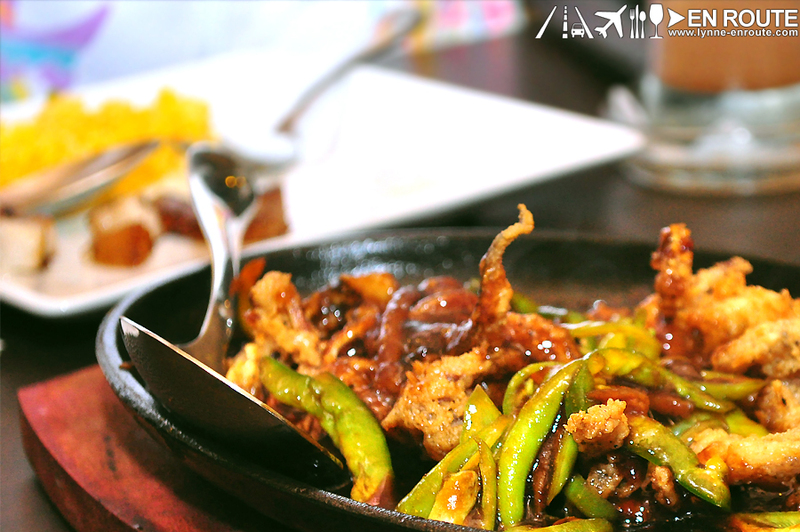 One dish worth noting is their fried squid served on a sizzling plate. 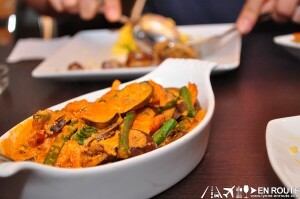 The sweet-teriyaki like sauce with a bit of bite from the chili gives a good combination of crunchiness, sweet-tangy flavor, and a mild bite in the tongue. 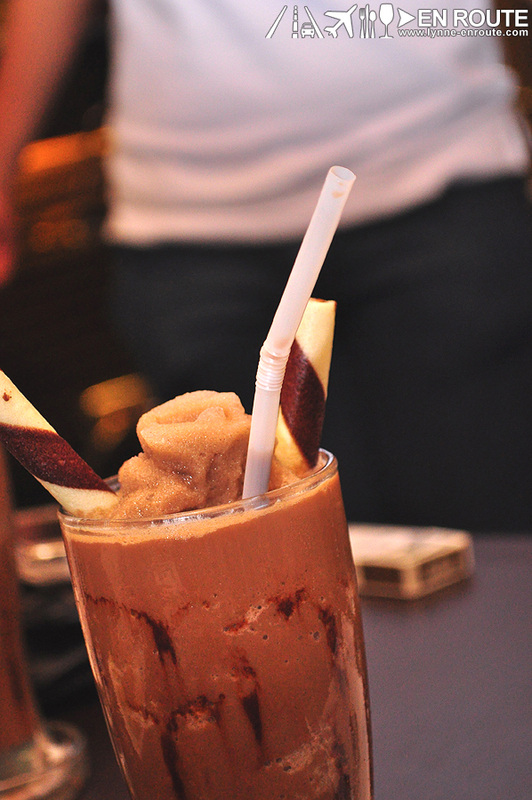 If it’s too much, drown it with a chocolate milkshake. The color for this bathroom has not been edited at all. Yes. 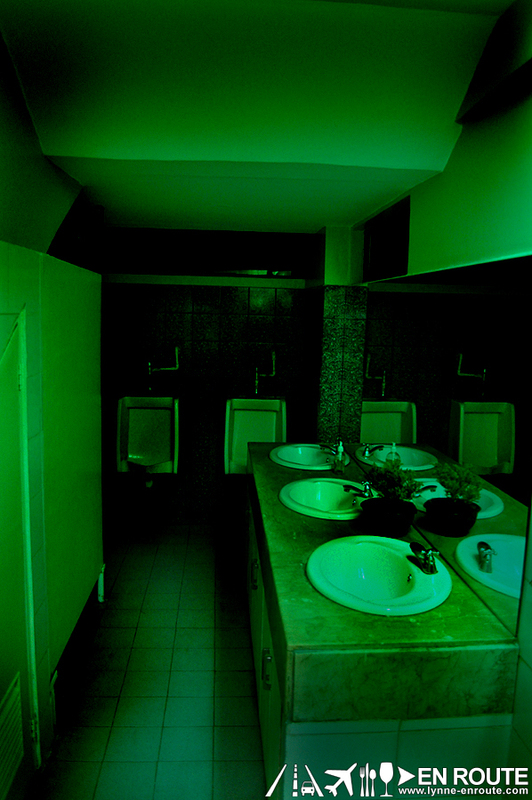 The male bathroom has a creepy green glow not even enough to illuminate its farthest corners. It’s like the entrance into the Twilight Zone via urinal flush. Suffice to say, all the beer buzz and any desire to relieve oneself were completely gone. Hopefully this has been replaced since it’s been one year already since this picture. Only one way to find out. If time permits, it would be great to pay a visit again over this weekend 😀 ! The Bay Grille Cafe is located in the National Highway in San Fernando City, La Union. It is just past the city proper heading to the surf spots of San Juan, La Union. Haha.. Don’t worry, I also thought of Twilight Zone when I first saw the bathroom photo.. 🙂 Btw, this place is so cool and the food looks good. Too bad though it’s so far.